What Are Your Favourite Positive Thinking Books? I find that positive thinking books are a great tool to keep one's mind focused on beneficial thoughts. Just reading a few pages of a good positive thinking book in the morning can help you to get on with the day in a joyful way! In this page you will find links to reviews of books that I have read, and which I have found useful in one way or another in my journey to awareness. Some of these books are true jewels of positive thinking, while others will help you to lighten up, and yet others are perfect to expand your ways of looking at life, even if they don't quite talk about positive thinking. 'Choosing Easy World': your guide to start living life the easy way. 'Ask and it is given': it contains all the keys you need to focus on what makes you feel good. 'You can heal your life': the true compassionate guide to help you heal. 'The art of effortless living': a handy manual to learn to live in peace and joy. 'Feel the fear and do it anyway': the guidance to deal with fear effectively. 'The Celestine prophecy': an adventure into the magical world of synchronicities. 'The power of now': the key to a peaceful and fulfilling life. 'One small step can change your life': the easy guide to start making changes in your life right now. Follow the links below for the full review of each book. 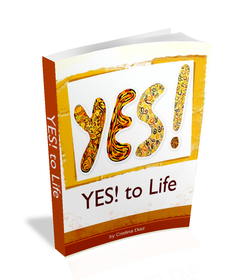 'Yes To Life' is my own ebook with a variety of tips and advice on a number of topics. You will find useful information ranging from a a technique to fall asleep when your thoughts don't let you, to a way in which you can make a difference now, to a method to deal with tough challenges. 'From Conflict To Calm: How to Deal Internally With Conflict at Work' is my own handbook about dealing with the thoughts and emotions which arise in a situation of conflict with someone at the workplace. This handbook shows you the journey from stress to peace, and gives you the tools you need to leave conflict behind. 'Power Over Procrastination' gives you the precise tools, techniques and approach to get things done and leave procrastination behind effortlessly. To me this book is key among positive thinking books. Joe Vitale and other authors give practical tips and share quality information to improve your life through positive thinking. This positive thinking book explains how we can use thoughts to create the reality we want, even financially. It contains very good examples and ways to use affirmations and intentional sentences. This little positive thinking book contains more than 400 positive thinking quotes. It is handy to have around, grab a quote whenever you want and feel a spark of joy and inspiration. This is a very powerful and mind-challenging book. It speaks to you and your creativity directly; it pokes you and motivates you, and proposes new ways of looking. This book is ideal as a starting point for creating change in your life. This book explains what defensive pessimism is and how it can help pessimists to deal with anxiety. It is well written, but it felt too academic at times. This is a very useful book to understand the importance of living in the present. It deals with deep issues like our perception of 'having problems' or what to do about physical pain; it will give you new outlooks on life. This book contains simple yet strong messages to help us have a life full of peace. It is easy to read and the loving lessons are summed up on powerful affirmations. This is a book with soothing messages and practical advice for matters of everyday life. It contains the thoughts of the Dalai Lama on happiness, dealing with anger, worry and anxiety, and even on building self-esteem. This book offers good positive thinking messages without them being necessarily linked to a specific religious belief. The hundred lessons that Richard Templar offers you in this book are based on his own life experience. This is an easy-to-read book that comes very handy for everyday life. This little book can be considered one of the spiritual positive thinking books. Paramhansa Yogananda uses metaphors and sometimes an abstract language to point to the source of happiness. The excerpts of his lessons and speeches also deal with other topics, like relationships, love or meditation. This gentle book offers a different approach to dealing with negative circumstances in life. Rather than going for positive thinking, Pema Chodron states that we can accept all that happens peacefully, as in the end "it's no big deal". This book steps away from positive thinking books and gives a new perspective on life by trying to answer the question "Who am I?". The journey through the book leads on to a path of peace and freedom of suffering by highlighting that the 'I' is just an invention. This book gives practical advice and exercises to look at your life with fresh eyes, become more aware and lead a happier life. It encourages you to understand yourself better and to love yourself. This book focuses on a 'sideline' event of life: how to handle and heal a relationship breakup. It offers a great deal of insight about relationships in general and the way we act on our feelings. It is worth reading for a number of good tips on how to handle our emotions. This positive thinking book offers a variety of practical advice, remedies and techniques to bring calm into your life, get direction and step out of stressful situations. Its story-telling style about first-hand experiences make this a very attractive book. This is one of the most powerful positive thinking books about personal relationships, and specially about romantic relationships and the real meaning of love. The author explains where love and happiness stand and how we can have better romantic relationships by understanding the place of love within us. A spiritual book on how to attain bliss, 'The science of religion' has the opposite message of the Law of Attraction, as it explains that wants and desires cause pain and thus it is not desirable to have wants. This book offers a different path to peace. This is a very interesting book with a different approach to experiencing life: through the Zen way. Charlotte Joko Beck explains what it means to practice Zen and what we can expect from it. This book does not strictly fall into the positive thinking books category, however it offers useful information on a variety of topics, aside from rebirthing. Most convenient is the "101 Affirmation Modes" - a list of affirmations that you can use for anything you want, just filling in the blank. 'What God Wants' is much more than a book about God. 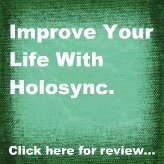 Neale Donald Walsch introduces you to a new idea of God, one that can be used to create a better reality here and now. This book is a gem that contains practical advice to enjoy our lives from a point of internal strength. This little book gives you a number of thoughts that can be read randomly, and which help you realize that you can go beyond the mind and your frequent stream of thought to achieve stillness. This book is a path to living in the present. This book offers interesting points of view on different areas of life, such us love, confronting problems, spiritual growth or religion. 'The road less travelled' shows us that there are indeed many other roads available to us. This fictional adventure contains a very positive message for our present lives. Through the Nine Insights we make sense of our current reality and obtain the keys to achieve a higher level of consciousness. Real fun and revealing! This book is a complete manual to understand and deal with anything that could cause us a problem in our lives. The 50 chapters of this book offer powerful insights on fear, guilt, the power of attitude, or the principle of being rather than doing, to name a few. This book is a compilation of conversations between HH Dalai Lama and Howard C Cutler about the subject of work, in which the Dalai Lama touches on important aspects of our modern jobs, and points at different perspectives which can help us achieve fulfillment in our job. You could take this book as a complete manual to dissolve negativity and problems by being in the present. The many techniques that Tolle offers to deal with life in a variety of areas truly make a difference in how we experience life. A must-read. This book is a great tool to make progress in anything, including self-improvement and positive thinking. It explains what the kaizen technique is and how to apply it to achieve any goal in very practical steps, which you can implement straight away. This is a very imaginative fiction book. It's a positive and magical adventure which makes for a great reading for teenagers and children. It proposes a much more fluid way of looking at life; this book is a pearl of imagination among positive thinking books. This is possibly one of the most remarkable positive thinking books, in that it offers a whole new approach to creating the life we want through our thoughts and emotions. Its insights can be life-changing - a must-read. This is the best book I've found to learn to deal with fear of any kind. Through the tools and the truths about fear contained in this book we can get to build our own personal power, so that we can realize that we can handle anything. This entertaining book is a journey through the people who have taught and influenced Stephen Russell, a.k.a. the Barefoot Doctor - people such as R.D. Laing, Ram Dass or Geronimo's grandson, among many others. Besides, the book is full of pearls of wisdom and techniques to help the energy flow through our body. Geoff Thompson explains fourteen principles that he followed to go from working a nightmarish job to creating the life he wanted to live. Very easy to read, this book is perfect if you feel you're stuck in life and have a vision of what you actually want. 'Pure' teaches you all the tools you need to use the energy in your body (chi) to create the life you want to experience. This book is key to start your personal transformation. One of the best positive thinking books, 'You can heal your life' contains excellent material to get you started on loving yourself and your life. It pinpoints the core problem underlying anything that doesn't work in your life, and gives you tools and ways to move forward. A must-read. This is one of the best positive thinking books for us women to learn to make the space and time for ourselves and our own life. A book filled with strategies and resources, 'The art of extreme self-care' is perfect to start feeling grounded and beautiful being yourself and living your life. Even though not strictly a positive thinking book, 'Eat Pray Love' contains a spiritual message for the reader. This is the real story of a woman who undertakes a journey to leave behind her old self and embrace true happiness. This book is engaging, surprising, and full of pearls of wisdom. You wouldn't find 'Island' in the positive thinking books shelf, but I have included it in this list because it proposes some principles to live by, with which we can empower ourselves and help to create a better society. Extremely interesting and revolutionary, this novel is a must-read. This book contains the keys to change our focus from doing to being, to relax, and to make our internal state the primary object of our attention. Through different exercises and techniques, Ingrid Bacci shows you how it is possible to live an effortless life. In this book Paul exposes the feelings and thoughts he went through as he experienced very difficult circumstances. He felt inspired and was helped by seven key people, and he shares all the lessons he learned in his way back from rock bottom. This is, indirectly, one of the most inspiring positive thinking books you can find, because it shows you how a normal guy like you and I got out of a rut. 'Choosing Easy World' is one of the best positive thinking books that I have read - it is an actual key to live the life that you want to experience, in an easy and joyful way. Sounds too easy? It is! This is a must-read book that will help you to relax and enjoy your life, right this moment. 'Heart thoughts' is a treasure full of warm and powerful thoughts. You can read the whole book at once, or you can have it around to open it randomly and enjoy a powerful thought any moment. You can also use the thoughts as affirmations - very empowering! This ebook has all the tools you need, including practical steps, to get yourself out of a situation of workplace bullying. The ebook comes with four very handy bonus ebooks, with more tools and advice. 'You can change your life' is based in the Hoffman Quadrinity Process, and it gives you a comprehensive and logical way of going about examining your own patterns of thought and behaviour, so that you can make positive changes in your life. 'Creating health' links our thoughts and emotions with our health, and shows you the way in which you can actively allow in the universal intelligence in order to achieve optimum health. An interesting positive thinking book, it also contains handy practical advice about a number of illnesses. 'Wherever you go, there you are' is a very useful book to find more ways in which to bring mindfulness to our everyday life. It contains practices, meditations and easy explanations that will help you to become more present. This book contains important principles to live by, reflected through the characteristics of comic superheroes, mythological figures and gods from the Indian culture. Lighthearted and powerful, this book offers timely messages, whether you are a comics fan or not. This is a lighthearted positive thinking book which offers important principles to live a wholesome life, through the story of a top lawyer who travels to India to find his real self after an almost fatal heart attack. 'Thrive' is a very relevant book for life at the beginning of the twenty-first century, where we live surrounded by technology but with a feeling of having less time. Arianna shares with you a few keys to live a successful and fulfilling life. 'A child of royalty' is the moving, real-life story of a woman learning to make her own life under a difficult upbringing which had silenced mental illness. This book not only sheds light on the topic of mental health, but it's also a light of encouragement and hope. Not just a positive thinking book, 'Fried' is a book for the times we're living. It describes very accurately the stages of the modern phenomenon that is burnout, and gives you the keys to move forward. 'The power is within you' is a soothing guide to show you how to love yourself and deliver you to peace. Through practical examples and advice, Louise Hay explains how when you love yourself you see your life work out. Have you read any of these positive thinking books? Do you have any comments or questions about them? Contact me and let me know!